Today I am sharinag with you the second round of Justin Bieber polishes. I have noticed these in stock at my local Walmart. First up, I'm a Believer - very pretty medium purple, lighter than Grape Pop or Funky Dunkey, and slightly more red-toned. 3 coats, great creme formula. Recommend! I really wanted to like One Time Lime, a bright grass green. It was streaky at first but smooth after the third coat. But. It. Stains! 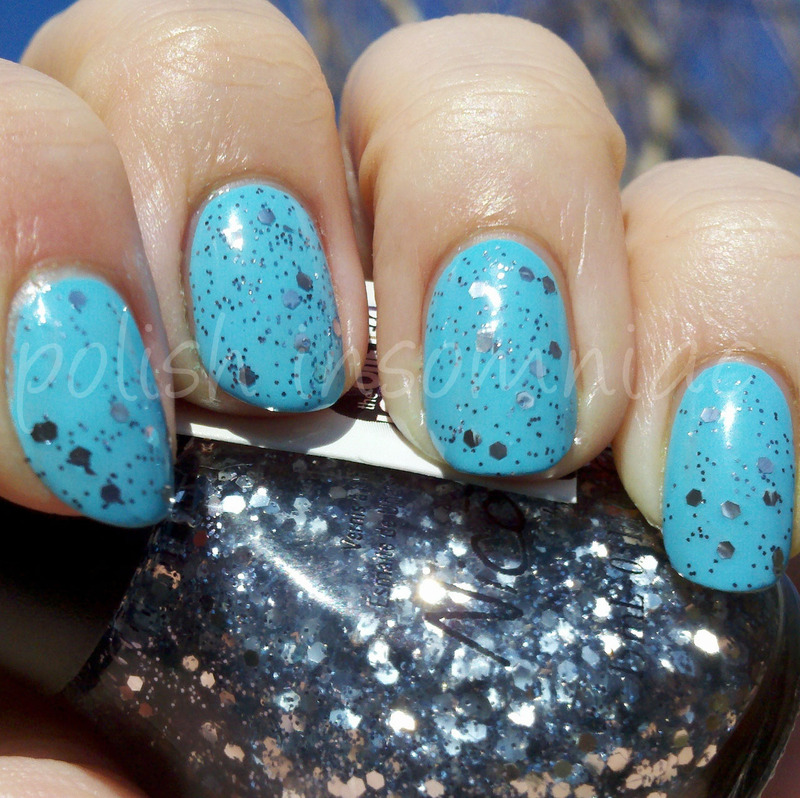 Baby Blue was my favorite of the collection, here I show it with one coat of U Make Me Smile on top. Super bright robin's egg blue that really pops against my skintone. Baby Blue only required two coats, but it does stain as well! 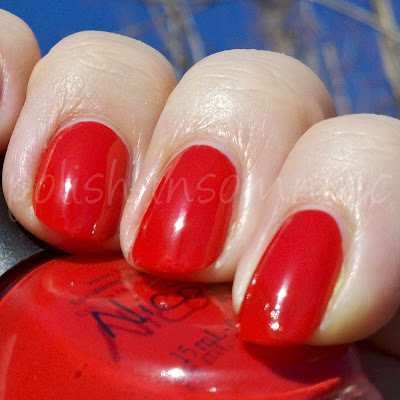 Perfect red creme, shown here with two coats. A third coat would have eliminated any VNL. If I liked red, this would be a must-have.. 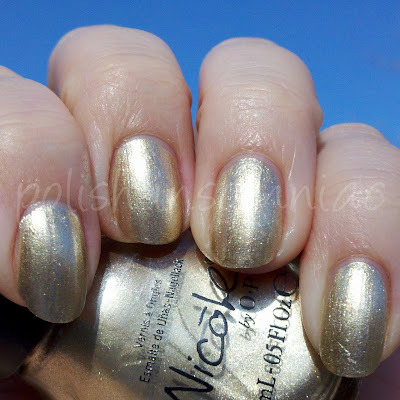 I did enjoy wearing No a Gold Bigger. I usually have a hard time pulling off golds, most are too warm for my skin tone, but this was just cool enough. Overall, I liked this collection much more than the first. If it were not for the staining, I would purchase Baby Blue and One Time Lime. I am glad I got to try them! You can see my swatches of the first Bieber collection here.